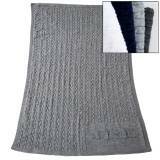 Monogrammed Cable Knit Blanket 50' By 62"
Monogrammed Custom Design Knit Stroller . . . 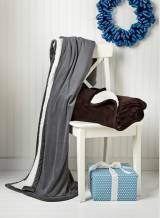 When giving these snuggly-soft blankets as a gift, the whimsical packaging alone will capture their hearts. 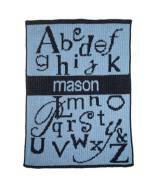 Custom designed and handcrafted Blankees can be personalized with initials, names, or monograms. 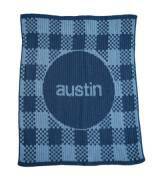 These blankets are decorative and practical making the perfect gift for infants, older children and adults alike. This thoughtful gift is sure to garner a wave of "oohs" and "aahs" and take its place as a family treasure. 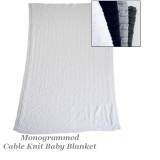 Incredibly soft and generously sized, Butterscotch Blankees make a beautiful addition to beds, cribs, gliders and strollers or serve as a unique wall hanging in the nursery.